So, what considerations must be made when developing an effective safety program? The following are some key pointers and advice that may be helpful in determining what to do and how to start. Remember, the best start may be to simply start over. While we can't manage people, we can certainly manage results! I'm not saying that you necessarily need to fire your corporate safety director, but you should rename the position — immediately. Here are some tips and please don't hesitate to call me to discuss this further; safety verbal messages are free over the phone. Internally, your safety and health professionals should be business savvy individuals who understand profit and loss of a business. They should temper their enthusiasm for shutting down a project with that of getting the job done safely and effectively and on time. The main agenda of EH&S professionals should be the same as the company they work for. We get into business to make money, our reputation and our safety record shows our admiration for our employee’s. When the company is profitable, promotions, raises and let’s be frank again, the ability to compete and profit again is improved. I wouldn't want my safety officer shutting down all the roads to success; instead, I would want the safety officer making the roads safer and more effective to get to the destination, the very temporary destination of profit. I am much more in favor of safety timeouts than job shutdowns I have seen several EH&S chest thumpers in my day that have fallen flat when the time came to present their case and the only thing accomplished was to destroy project profitability. This is why a company should not have titles like Corporate EH&S Director. Tell me, who does your corporate safety director currently direct? That’s what I thought; no-one really, perhaps they direct their e-mails to all the people they can't really hold accountable. Sorry, rather a company should have a Corporate EH&S Officer. An officer has authority to hold accountable the most senior level managers with EH&S responsibilities down to the working hands in the field. 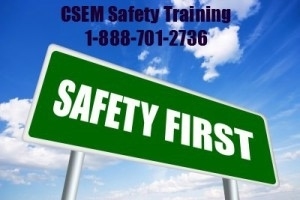 Infusion of safety responsibilities and accountabilities make safety training more essential and effective to achieve both zero accidents and profitability for the company; one simply can not exist without the other. This means that the person in charge of safety is driven by industry excellence, not mediocrity or standards. Why risk safety and profits? The Maximizer will ensure quality control and be a driver within the program. This individual will exceed all expectations by governing bodies. A maximizer will seek to generate the highest quality and strive to be the next cover story on industry best practice forums and at the same time, meet the mutually beneficial goals of the company and the regulatory agency. I like VPP programs and we’ll talk about them soon. However, if you are cutting edge, you have already prioritized that within the scope of your company size, market and goals. How To Manifest An Effective Safety Program? A curriculum that includes training, training and yes, more training. Keep in mind that one person can have a direct influence on the effectiveness of the entire program directly influencing others.